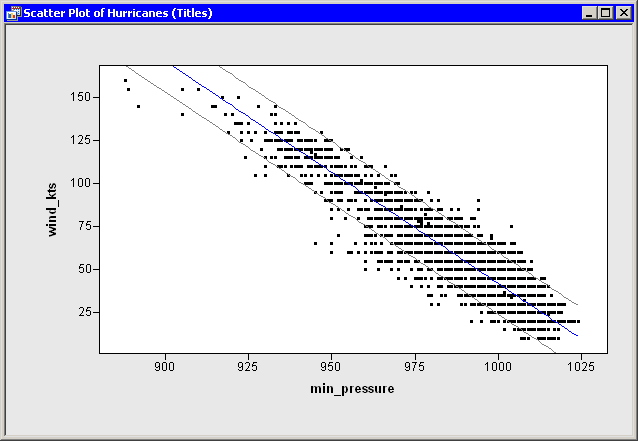 In previous chapters you performed a linear regression with PROC REG, and you created a scatter plot that shows the fitted model and 95% confidence intervals for individual predictions as shown in Figure 8.1. In Chapter 7, Reading ODS Tables, you learned how to get all of the needed information out of the ODS tables output by using PROC REG. The program that follows combines ideas from previous chapters. Copy the following statements into a program window, and select Program Run from the main menu.